The Brazilian football team, which is the most successful FIFA World Cup competitor with five titles, arrived in Russias Black Sea resort city of Sochi early on Monday. The five-time world champions will stay at the Swissotel Resort Sochi Kamelia and train at the the Yug-Sport stadium. The Brazilian squad will hold a public training on June 12, reports Tass news agency. 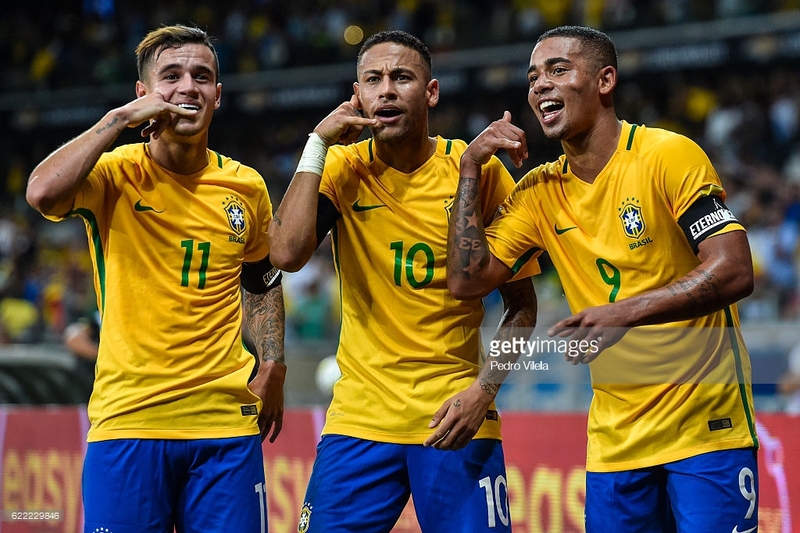 Before departing to Russia, Brazil defeated Austria 3-0 in a friendly match. During the tournament’s group stage, Brazil will play in Group E against Switzerland (June 17, Rostov-on-Don), Costa Rica (June 22, St. Petersburg) and Serbia (June 27, Moscow, Spartak Stadium). Apart from holding five championship titles, Brazil is also the world’s only national squad to qualify for every FIFA World Cup. It also holds the record of the best overall performance in World Cup, with a record of 70 victories in 104 matches played. Teams from Iran, Panama, Spain, Saudi Arabia, Tunisia, Portugal, Iceland, Argentina, Morocco, Australia, Egypt, Peru and France have already arrived in Russia.